First let's deal with the perennial losers, the sad sacks of the American economy. Mostly cities in the nation's industrial heartland, these places have ranked toward the bottom of our list for much of the past five years. Eleven of the bottom 16 regions on our list are in two states, Ohio and Michigan. 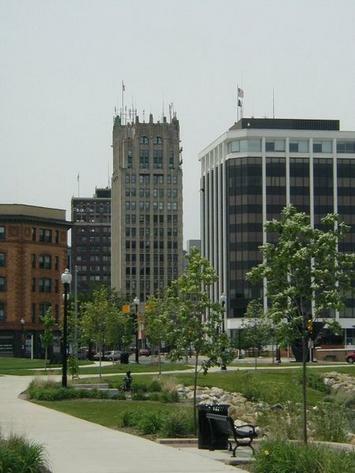 In fact, the Wolverine State alone accounts for the bottom four cities: Jackson, Detroit, Saginaw and Flint. Unfortunately, there's not much in the way of short-term – or perhaps even medium- or long-term – hope for a strong rebound in those places. President Obama seems determined to give the automakers, for whom Michigan is home base, far rougher treatment than what he meted out to ailing companies in the financial sector. In addition, new environmental regulations may not help auto production, since it necessitates some carbon-spewing and therefore perhaps unacceptable levels of greenhouse gas emission. However, not all of Michigan's problems stem from Washington or the marketplace. Many of the locations at the bottom of the list remain inhospitable to business. To be sure, housing is cheap – in Detroit, property values are fast plummeting toward zero – but running a business can be surprisingly expensive in these hard-pressed places. In fact, according to a recent survey by the Tax Foundation, Ohio has an average tax burden roughly similar to New York, California, Massachusetts and Connecticut. But while the others are comparatively high-income states, Ohio residents no longer enjoy that level of affluence. Can these places come back? It is un-American to abandon hope, but there needs to be a radical shift in strategy to focus on creating new middle-class jobs. Some Midwestern cities, like Kalamazoo and Indianapolis, have made some successful efforts to diversify their economies, encouraging start-ups and trying to be business-friendly. But those are exceptions. Cleveland, one of our worst big cities, could spark a renaissance by revamping its port and nearby industrial hinterland. Once the world economy improves, it could re-emerge – building on the existing knowledge and skills of its production- and design-savvy population – as a hub for manufacturing and exports. But right now, Cleveland does not seem to be pursuing such opportunities. As Purdue's Ed Morrison has pointed out, local leaders there seem to "confuse real estate development with economic development." So Cleveland will focus on inanities such as convention business and tourism, believing we all fantasize about a week enjoying the sights along Lake Erie. Yet even high-profile buildings like the Rock and Roll Hall of Fame and Museum, completed in 1986, have not transformed a gritty old industrial town into a beacon for the hip and cool. Old industrial cities like Cleveland are better off focusing on their locational advantages – access to roads, train lines and water routes – while offering a safe, inexpensive and friendly venue for ambitious young families, immigrants and entrepreneurs. Meanwhile, cities with formerly robust economies – like Reno, Nev., Las Vegas, Orlando, Fla., Tampa, Fla., Fort Lauderdale, Fla., West Palm Beach, Fla., Jacksonville, Fla., and Phoenix – are more likely to rebound. These areas topped our list for much of the 2000s; their success was driven first by surging population and job growth and later by escalating housing prices. But the collapse of the housing bubble and a drop in large-scale migration from other regions has weakened, often dramatically, these perennial successes. "We could rely on 1,000 people a week moving into the area," notes one longtime official in central Florida. "These people needed services, houses and bought stuff. Now the growth is a 10th of that." Instead of waiting for the real estate bubble to return, these areas should choose to focus on boosting employment in fields like medical services, business services and light manufacturing. In much of Florida and Nevada, there's also a need to shift away from a reliance on tourism, an industry that pays poorly on average and is always subject to changes in consumer tastes. We can even be cautiously optimistic about some of these former superstars. After all, observes Phoenix-based economist Elliot Pollack, the existing reasons for moving to Arizona, Nevada or Florida – warm weather, relatively low taxes and generally pro-business governments – have not disappeared. "There's no change in the fundamentals," he argues. "It's a transition. It's ugly, and there's pain, but it's still a cycle that will turn." Once the economy stabilizes, Pollack says he expects the flow of people and companies from the Northeast and California to Phoenix and other former hot spots will resume, once again lured by inexpensive real estate, better conditions for business and a generally more up-to-date infrastructure. So what about California? The economic well-being of many metropolitan areas in the Golden State has been sinking precipitously since 2006. This year, three California regions – Oakland, Sacramento and San Bernardino-Riverside – have sunk down into the bottom 10 on the large cities list. That's a phenomenon we've never seen before – and never expected to see. Like other Sun Belt communities, California suffered disproportionately from the housing bubble's bust, which has devastated both employment in construction-related industries as well as much of the finance sector. But some, like economist Esmael Adibi, director of the Anderson Center for Economic Research at Chapman University, where I teach, think a real estate turnaround may be imminent. Among the first to predict the potential for a real estate bubble back in 2005, these days Adibi is more upbeat, pointing to rising sales of single-family homes, particularly at the lower end of the market. California's inventory of unsold homes is now down to about six months' worth, a figure well below the national average of 9.6 months. It seems not everyone is ready to abandon the Golden State – but still, recovery in California may prove weaker than in surrounding states. One forecaster, Bill Watkins, even predicts unemployment could reach 15% next year, up from about 11% today. California, most likely, will see only an anemic recovery in 2010 even if growth picks up elsewhere. Much of the problem lies with the state's notoriously inept government. The enormous budget deficit will almost certainly lead to tax increases, which will fall mostly on the state's vaunted high-income entrepreneurial residents. Stimulus funds won't do much good either, Adibi notes, since "the state is grabbing all of the federal stimulus money" to keep itself afloat. A draconian regulatory environment also could dim California's prospects for growth. Despite double-digit unemployment, the state seems determined not only to raise taxes but also to tighten its regulatory stranglehold. This is a stark contrast to what happened in the 1990s during the last deep recession. At that time, leaders from both political parties pulled together to reform the state's regulatory and tax environment. Almost everyone recognized the need to improve the economic climate. But an even deeper recession, it seems, hardly troubles today's dominant players – public employees, environmental activists and gentry liberals who largely live along the coast. The state has recently passed a draconian Assembly bill aimed to offset global warming by capping greenhouse gas emissions – a measure that seems designed to discourage productive industry. "This is becoming a horrible place to produce anything," says Watkins, who is executive director of the Economic Forecast Project at the University of California, Santa Barbara. California's lawyers, though, might stay busy. Attorney General Jerry Brown has threatened to sue anyone who grows their business in unapproved, environment-threatening ways. To be sure, this promise may have relatively little impact on the more affluent, aging coastal communities – but it could wreak havoc on younger, less tony areas in the state's interior. Many of the local economies there still rely on resource-dependent industries like oil, manufacturing and agriculture. It's sad because California has the capacity to recover more quickly than the rest of the country if the state moderates its spending and stops regulating itself into oblivion. This current round of legislation is so dangerous precisely because it could eviscerate the heart of the economy by slowing down entrepreneurial growth, the state's greatest asset. Even in hard times, there are people with innovative ideas trying to bring them to market – and not just in Hollywood- and Silicon Valley-based industries but in a broad range of fields, from garments to agriculture, aerospace and processed foods. The desire to increase regulation reflects a peculiar narcissism and arrogance of the state's ruling elites, who believe the genius of San Francisco's venture capitalists and Los Angeles' image-makers alone are enough to spark a powerful recovery. This is delusional. True, California still has a lead in everything from farm products to films to high-tech manufacturers. But it has been slowly losing ground – to both other states and overseas competitors. CEOs and top management might stay in the Golden State, but they increasingly send outside its borders all jobs that don't require access to the local market, genius scientists or talented entertainers. "There's a feeling in California that we will come back, no matter what, because we are California," Watkins says. "The leadership is swallowing Panglossian Kool-aid. Some very smart people, a beautiful climate and nice beaches is not enough to guarantee a strong recovery." Submitted by Padmanaban on Tue, 08/04/2009 - 05:35. Some of the cities are lacking in job growth, but one can get a dream job in updating your resume in http://www.usjobcareer.com. Submitted by JoeAnna on Mon, 06/22/2009 - 08:55. Maybe the city is one of the worst but to be honest in this picture it looks great. Check out my city here, Cliffside, to see what worst really means. I`m glad cause I work for this people to be honest cause otherwise my country is down to earth with economy. Jackson, MI ...thoughts from a native. Submitted by A2Social on Thu, 04/30/2009 - 00:14. And while my view may protrude sharply from the opinions of others, I thought it was important to include a piece of personal experience from a town that I grew up in, a town I couldn't wait to leave. As I ponder the problems that put Jackson in this position, I recall a book I read as an undergraduate student studying sociology, "Blue Collar Aristocrats". Not only was it a fascinating read, it applies to Jackson, whole heatedly, and perhaps, many rural Michigan towns. I often found myself driving 30 minutes to the east, and one could enter Ann Arbor, a seemingly different world with liberal mind frames and life on the streets, intellectuals, art and shows. How could two towns so close be like life and death? But I fear the main problem here is: Denial, denial that a massive change has foregone our society, the fabric of it changes constantly, and old rigid values must be thrown aside. Through my childhood it was well known among every stable minded and college bound classmate that leaving Jackson was the ultimate goal, it was the most important thing. Perhaps it was the constant sight of early teen moms pushing strollers along city streets, or perhaps it was local rejection of youth, the shunning of young people. It is that shunning of young adults in Jackson, that is in my opinion the reason for its demise. The ability to work with your "hands" is far more valued in Jackson, than the fact that you hold a MBA; physical hard labor is "real" work here. Sadly, city officials continue to try to maintain and attract new manufacturing prospects, as well as service jobs...completely shutting the door on any viable chance for future success. Unfortunately, the losers here are the residents, hoping for a bright future, but in reality swimming the in the cycle of poverty. Submitted by ha113 on Tue, 05/11/2010 - 07:39. I know there are the high class resumes that people pay to make, but I want a resume style that will look the most professional to get a call soon.Still what and all should be included in resume.we have a site named Personalmanagement Weiden for perfect jobs.